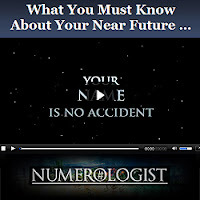 Interpretations of the Later Life Cycle Numbers (Numerology Lesson 16) | Law of Attraction Plus: The Secret revealed! In previous newsletters we revealed how to calculate and interpret your Early and Middle Life Cycle numbers. In this edition we are going to reveal the interpretations of the Later Life Cycle numbers which describe how you are destined to live out your later years. If you have already calculated your Middle Life Cycle Number, then the short cut to finding your Later Life Cycle Number is to simply boost it up a number. For instance if your Middle Life Cycle number would be 4 and your Later Life Cycle would be 5. If your middle life cycle was a 22 then you would revert to the beginning of the numerology system by reading your later life cycle as a one. Just as a reminder, this calculation is figured by taking your DAY and MONTH of birth and reducing them down to a single digit. You then take the numbers of the YEAR that you turned or will turn 85 and reduce that to a single digit. You then add both of these sums and reduce it once more to a single digit. However the exception is if this sum adds up to result in any one of the two master numbers 11 or 22. In this case you do not reduce the Later Life Cycle Number but utilize the interpretations for both master numbers instead. Here are the interpretations for all the Later Life Cycle Numbers which cover the influences from age 59 to age 85. In the next installment of this lesson we are going to introduce you to the fascinating art of calculating your Life Challenge numbers. This is numerology at its most eclectic and exact as this time... instead of just adding number equivilents together we will also be subtracting to arrive at three specific challenge numbers.